The start of British Summer Time this weekend means you can start to be a little more flexible in your lighting requirements. 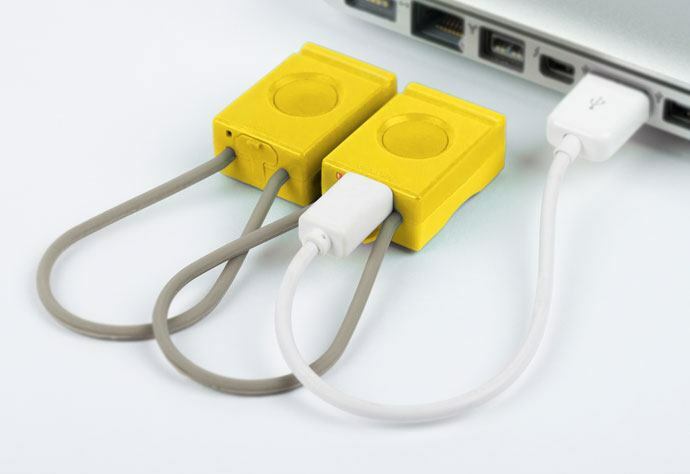 The Bookman USB Light is compact and lightweight, but surprisingly bright. It fits all bicycle handlebars and seat posts and is quick and easy to attach with its rubber band. Its large button on the upper side is designed to ensure easy operation, even when wearing gloves. The light is fitted with a micro USB port for recharging the battery. The indicator on the back of the light will start to flash when the battery is low and even then the light is programmed to hold a constant brightness so you can trust the lights to be bright when you need them. The USB Light is well-suited to British summertime cycling – it’s weather resistant. 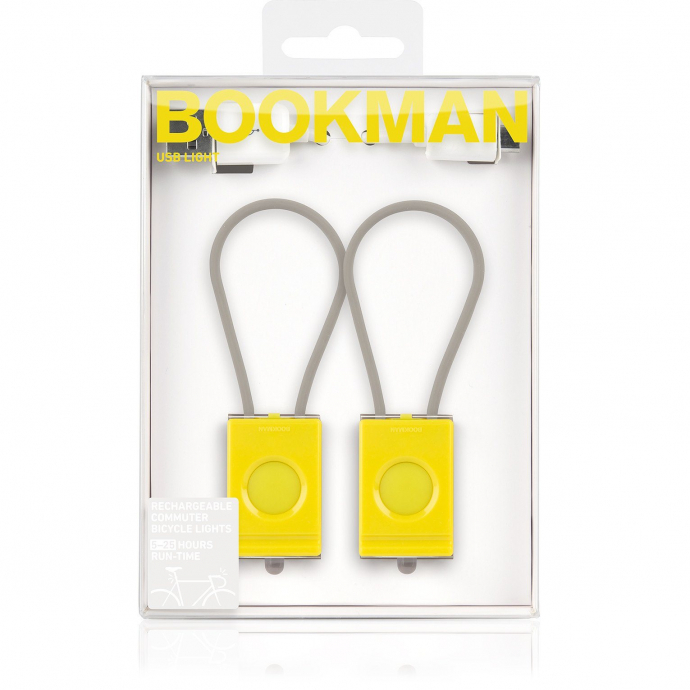 We have a set of Bookman USB lights worth £34 to give away. Leave us a comment at the bottom of this page and we will pick a winner next week. With ETA cycle insurance, however old the bike, if it’s stolen you get enough to buy a new model. Furthermore, every cycle insurance policy you buy from us helps support the work of the ETA Trust, our charity campaigning for a cleaner, safer transport future. Little wonder The Good Shopping Guide has voted us Britain’s most ethical insurance company. I think it’s a great idea to use lights all year round, these look perfect! Very nice and compact and easy to mount as well. Thanks for the opportunity ETA!! Ticks all the boxes for me. Being soft, I wear gloves this time of year when commuting, but find it rather inconvenient that I have to pull them off sticky fingers to activate my lights; The large button on top is a major plus on these Bookman lights. I love the idea of USB charging lights, so much more convenient than replacing batteries. As long as there’re bright enough, these look great for urban commuting. Ideal for replacing the lights the family lost this winter. Could you please send gloves as well? I’d love them…Please pick me! As the Nobel Prize poet says, Shine your light on me. They look perfect for ease of putting on and being seen. A good idea. Another bright idea – very useful! What a bright idea! I’d love these. Surely it must be my turn to win something by now?! Yes it is, but don’t call me Shirley! What a great product – yes please! Ah we could really do with those!! They look brilliant. I’d love a pair – especially the rear one to replace my current light, the connecting band of which is broken. Loving the simple look of them; would look banging on my fixie. Bright lights are for bright people! Just the ticket for simple, lightweight use but effective. Small sparkling stars support safe summer cycling. Yes, please, ETA. Good for those getting caught out on those unexpected late evening rides. These look great and will be a bonus to have for summer evening rides when I return just that little bit too late! Practical, easy to operate, charge and attach, what’s not to love. Looking at the first picture, why would anyone fit safety equipment like these brilliant lights to a bike without brakes???!!! Might it have a coaster brake? Millions of Dutch cyclists use bicycles fitted only with coaster brakes every single day without mishap. Hey manbook me a pair of them – like my wife who cycles 16 miles a day, they are a ray of sunshine on a summers day! I always have a light set on my commuting bikes, as you never know when conditions may require it. These would be ideal to replace the ones some ‘light-fingered’ thief snatched from my son’s bike in the school bike sheds.